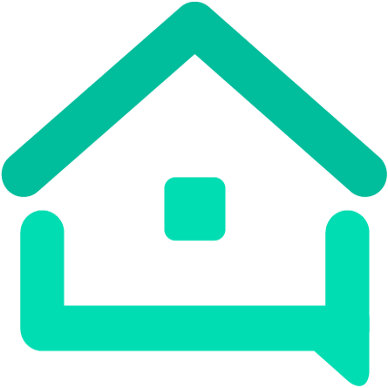 Listing nightmare - Tools - We are your AirBnB hosts forum! Hello, I’m really hoping someone has some ideas that can help me. My husband and I bought a brand new condo with the sole purpose of Airbnbing yet no matter what we do it is not showing up in the listings when searched. We’ve contacted customer service numerous times and even spoken to supervisors but it is still not showing. Any ideas? I’d like to call their corporate office but can’t find the number. There is no posted “corporate office” phone number that I’ve even heard of. As long as you are dotting all your i s, and crossing all your t s it should be showing. Give us the URL of your listing and we’ll see if we can find it. I do notice that your photo shows that you may be in Israel. There was something in our news lately about Airbnb not allowing some folks in some parts of Israel to list STRs, but I’m afraid that’s all I remember. Is it possible that that is part of the issue? I think those in the occupied West Bank have been de-listed. I do notice that your photo shows that you may be in Israel. That photo says “conservative Christian” to me, not someone in Israel. LOL. Things are certainly open to interpretation which is interesting given we were just talking about what someone can deduce from a profile photo when screening guests. @Ann_Drais I agree that we probably need a bit more information in order to be able to help you. Airbnb CS must have told you something in their fruitless effort to help? Any ideas from your side on what the problem might be? If you don’t want to post the listing publically you could also PM Ken or I.
Hi @KenH it was news that Airbnb had at last stopped people from listing property in the illegally occupied West Bank. (I believe it affected less than 200 listings in Israel). @Ann_Drais do you have a link to the listing ? Can you tell us where your listing is? What happened when you tried to publish it? What did airbnb say when you spoke to them? Are you in an area where your local government bans short term rentals who let for under a month? It is rather difficult for anyone to give you ideas based on what you have told us so far. From another post, it looks like they are living in the US while their Airbnb is in Mexico. Our condo is in Mexico not Isreal. The picture is from a vacation we took and is not my Airbnb photo. Our listing now only shows up in some searches and not on others for the same area and often drops off the map when you adjust the screen. It also doesn’t show up when you click superhost even though our co-host is a super host. not on others for the same area and often drops off the map when you adjust the screen. If there aren’t very many listings in your area it will do that. I don’t think you get superhost filter benefit from a co-host, someone will be along to correct me. It sounds like the everything is working as Airbnb intends, it just doesn’t work well for your listing. There are many listings in our area. Our next door neighbor also Airbnbs. His listing always shows up when ours is sometime there and sometimes not. Ok. Well good luck. I’m out of guesses. @ann_drais you need to “play” with your listing to see what it takes to show up in searches regularly; alternatively, if you want us to see if it shows up when we do the searching, you will need to provide us a link to your property. I don’t think you get superhost filter benefit from a co-host, someone will be along to correct me. You are correct. It doesn’t matter if the co-host is a Superhost, you need to be one yourself. @Ann_Drais, please send us a link so we can see if it shows up for us. I recommend numbering the rules. It m,aes it so much easier to refer to a specific one by number when necessary. Ok, thanks for the suggestion. Any thoughts on why the listing isn’t showing up consistently? Only that maybe it is too far down in the listings to be found when searching Rosarito, Mexico. Not really sure. It came up for me when I looked on the map, whereas your next door neoghbor’s did not. You came up on the 2nd page for me when I just did a search for Rosarito, MX, for 4 people and no other filters and no narrowing the map. That’s not so bad. Hey @Ann_Drais, just my two cents on how to improve your listing which may help boost it up the search results, too. Get some professional photos taken. Looks like you have an awesome property but the current pics really aren’t doing it justice and aren’t persuading me to book your place. These photos will be an investment but you’ll more than make it back with the bookings they draw in. You need some reviews. To get reviews when you’re starting out, you need to price low compared to the competition. Get the short weekend stay bookings in to build up a bank of reviews. No reviews not only means you’re further down the listing results, but it also deters guests from staying because – you guessed it – no reviews. Write a proper description. At the moment, the guest doesn’t get a feel for what their experience is going to be like. I would open a second account ondee someone else’s name and check on that way. Sometimes mine disappears when I am searching as myself though.